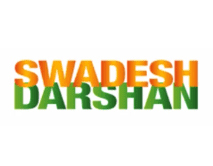 An amount of Rs 5638.87 crore has been sanctioned with release of Rs 2148.17 crore since 2014-15 till date under the Swadesh Darshan scheme of Ministry of Tourism. Under the scheme, 13 thematic circuits have been identified for development namely, North-East India Circuit, Buddhist Circuit, Himalayan Circuit, Coastal Circuit, Krishna Circuit, Desert Circuit, Tribal Circuit, Eco Circuit, Wildlife Circuit, Rural Circuit, Spiritual Circuit, Ramayana Circuit and Heritage Circuit. Meanwhile, under the PRASHAD scheme, 23 projects have been sanctioned to 15 states for a total amount of Rs 687.92 crore with release of Rs 241.28 crore since 2015-16 till date. The objective of the ‘National Mission on Pilgrimage Rejuvenation and Spiritual, Heritage Augmentation Drive’ (PRASHAD) is of holistic development of identified pilgrimage and heritage destination. While the tourism sector in India has gained huge impetus in recent times, the lack of infrastructure to support the surge in tourism has now caught the eye of the sector. 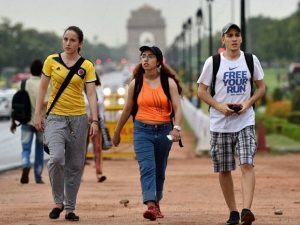 In a recent statement, Tourism Ministry officials have revealed that India has a shortage of nearly 2 lakh hotel rooms and is struggling to manage the acceleration in tourist arrivals. “We are plagued with a huge shortage of hotel rooms and instead of building new ones, we are trying to encourage homestays and exploring other alternatives like tying up with existing known brands with operational hotels and accrediting them,” said a senior official. The MOT is also working on creating five special tourism zones in the country so that these areas can be developed into tourist hotspots, officials said. According to a report of the working group on tourism for the 12th Five Year Plan (2012-17), for a projected annual growth of 12 per cent in foreign tourist arrivals (FTAs), the projected requirement of additional hotel rooms in 2016 over 2010, was estimated to be 1,90,108. All travel trade agencies recognised or approved by the Ministry of Tourism are required to submit their data on digital transactions on a monthly basis, positively by the 20th of every month starting August 1, 2017 to the Ministry. The Ministry of Tourism had assigned travel trade associations including IATO, TAAI, ITTA, ADTOI and ATOAI the responsibility to promote digital transactions in the tourism sector. MOT had mailed the associations on Sept 22, 2017, regarding furnishing and submission of the same to the Ministry. 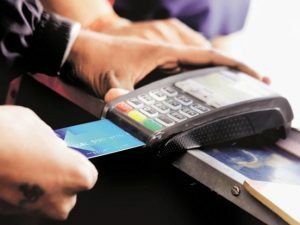 The MOT will consolidate the data on digital transactions in the organised sectors for review by the PMO through the Ministry of Electronics and Information & Technology. According to the data released by Ministry of Tourism, Foreign Exchange Earnings (FEEs) during the month of August, 2017 were ₹13,922 crore as compared to ₹12,553 crore in August, 2016 and ₹11,411 crore in August, 2015. The growth rate in FEEs in terms of rupee during August, 2017 over August, 2016 was higher, with 10.9 per cent as compared to the growth rate of 10.0 per cent in August, 2016 over August, 2015. The FEEs during the period of January- August, 2017 was recorded at ₹1,16,004 crore, amounting to a growth of 16.5 per cent as compared to the FEEs of ₹99,587 during January-August 2016 which amounted to a growth rate of 13.9 per cent over January- August, 2015. 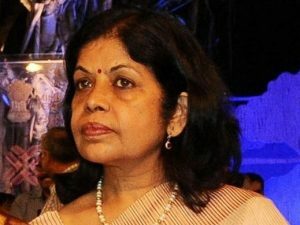 Tourism Secretary Rashmi Verma has said that the Government of India will soon announce a new ‘Adopt a Heritage’ campaign in association with Archaeological Survey of India (ASI). With an aim to encourage the corporate and private sectors to adopt a heritage monument, the campaign will give a boost to the heritage tourism circuit through public-private partnership. Verma announced this on the sidelines of IATO Convention underway in Bhubaneswar, Odisha. She also announced the second edition of Incredible India campaign, which will be market specific and will be based on India’s thematic circuits. 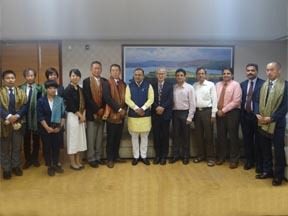 The Minister of Tourism, Government of Maharashtra, Jayakumar Jitendrasinh Rawal, met the delegates from Wakayama Prefecture to discuss tourism potential between the two countries. Also present at the event were other dignitaries like Vijay Waghmare, Managing Director, MTDC, and Aashutosh Rathod, Joint Managing Director, MTDC. The international delegates included Hiroyuki Tsui, Director General, International Planning Division, Wakayama Prefecture Government, and Onishi Tatsunori, International Planning Division, Wakayama Prefecture Government. The Japanese delegates from Wakayama Prefecture also explored the well-known Mahalaxmi Dhobi Ghat to see the traditional way of washing clothes. 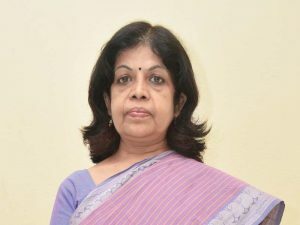 Tourism Secretary Rashmi Verma announced that in May the ministry witnessed a 19 per cent increase in inbound tourist numbers despite it being peak summer. She informed that MOT has created a GST cell two days ago to address the industry issues. “We want to handhold the industry through the transition from current tax regime to the new GST regime and solve any hurdles through this,” she said. The much-awaited National Tourism policy would most probably be released before World Tourism Day commemorated on September 27, she added. Verma said that the Prime Minister’s Office and Cabinet had suggested some changes in the draft policy which have been incorporated and will releasing it soon. This was revealed during a special session on GST organised by the Indian Association of Tour Operators (IATO) for its members, which was attended by members from Central Board of Excise & Customs, Govt. of India. The government officials addressed the issues related to tour operators and explained to them the intricacies of the GST regime and how would it affect them. The event was also a farewell from IATO to former secretary tourism Vinod Zutshi, where they also welcomed the new secretary Rashmi Verma. The Ministry of Tourism will host the Grand Finale of “Smart India Hackathon” on April 1-2, 2017, in Kochi, Kerala, featuring 53 teams comprising of 230 students from technology institution/engineering colleges across the country. The Smart India Hackathon is being held across 26 cities in the country including Kochi with the involvement and support of 29 government departments. This Hackathon is an initiative of the Ministry of Human Resources Development organised in collaboration with All India Council for Technical Education (AICTE) and i4c and is aimed to help institutionalise the model of harnessing the creativity and technical expertise of youth in technical institutions. 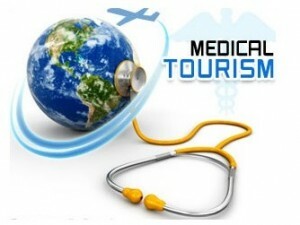 The Hackathon for Tourism sector, to be held at the Mar Baselios Institute of Technology and Science [MBITS], Kothmangalam, Cochin, will focus on the use of technology to solve problem statements pertaining to Tourism Sector posed by Ministry of Tourism such as Safety & Security of Tourist, Path breaking technological solutions that would catapult India as a leading tourist destination, Museum Commentary etc. The problem statements pertaining to tourism sector were given directly by the Ministry of Tourism based on the industry requirements which will be used to challenge the students for developing innovative digital solutions. The newly developed solutions/technical products will be evaluated by experts and prizes shall be distributed for winners, 1st runner up and 2nd runner up. After the event, the Ministry of Tourism will prepare a plan of action for integrating the products/software which has come out this hackathon into the Departmental functioning.